Anyway, drew a winner already today via Rafflecopter. 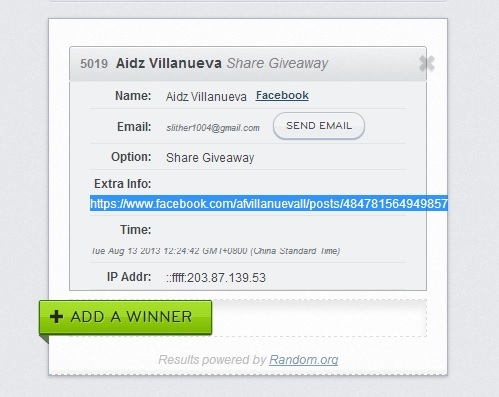 Congrats Aidz Villanueva! You just won yourself P1500 worth of Gift Certificates from SM Kids Fashion and a special lootbag you can claim at the Toonfest! So you guys, if you want better chances of winning, make sure to come back everyday to tweet/share on FB. My week 2 giveaway for SM Kids Fashion is still up and week 3 will be coming next in a couple days. thank you so much Ms, Sarah! :) How to claim the prize po?